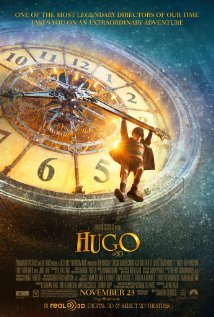 Plot: Hugo, an orphaned boy who keeps the Montparnasse train station clocks running, and who lives in station’s walls, fixes a mysterious automaton and by chance stumbles upon its maker, but it takes him painfully long to put the two and two together. Pros: It’s pretty. Kingsley proves yet again that he could play anything and anyone. Cons: At it’s best it rises to the level of mildly irritating. Hugo and his female sidekick are surprisingly dim witted.